Mexico is a major oil producer, but now it’s exploring the alternative energy as well. Mexico’s power sector is mainly owned by the government. After revised the law of electric power in 1992, only the generate electricity field is open for private enterprise at present in Mexico, the self-generation power plants or heat and power plants and small electricity generators can generate electricity for their own use. Independent electricity generator can sell surplus power to Federal Power Commission in according with the long-term contract. 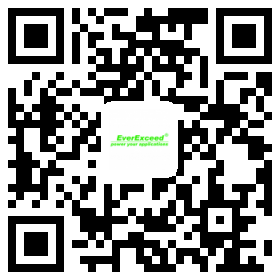 As a global specialist in energy supply, EverExceed maintain a productive cooperation with local customers. In addition to enhance the relationship, EverExceed professional research and development group continuously research and develop new products, and continue to improve and refine products. In the event, EverExceed Flexible solar panel, Monocrystalline solar panel, Polycrystalline solar panel, solar home system, grid-on solar system, and phosphoric acid iron battery drew the attention of many participants. In addition, customers from all over the world showed great interest in EverExceed batteries and solar home system. As a worldwide energy supply expert, EverExceed is also supplying LEAD ACID BATTERIES / NICKEL CADMIUM BATTERIES / NICKEL IRON BATTERIES to different companies around the world. We are professional supplier to leading industry companies and brands like GE digital, Telekomsel, Mastervolt, Tripplite, SOCOMEC, HUAWEI, ZTE, CELCOM MOBILE etc. I am sure that we are capable to efficiently fulfill your Customized Requirements as per your desired specifications of LEAD ACID BATTERIES / NICKEL CADMIUM BATTERIES / NICKEL IRON BATTERIES for all types of telecom, power utility, solar, oil, railways, aerospace applications! We have professional Technical engineers team with addition of necessary certifications such as: ISO-14001, ISO-9001, CE / IEC / TUV / UL.